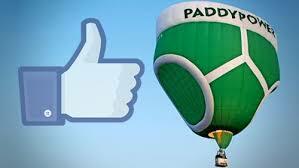 Paddy Power members were quite fortunate throughout June and the first half of July, as they were showered with generous promotions aimed at the World Cup 2014. The bookmaker turned online casino operator and poker room has just unveiled its latest campaigns and they will appeal to those who play a lot during the week. The vast majority of players prefer weekends, because these are the days when they have more time, but there are plenty who compete midweek. Nothing good happens on Monday, but from Tuesday onwards things take a turn for the better, as one can find out by simply visiting https://casino.paddypower.com/promotions. Turnover Tuesday is the name of the promotion that starts on the aforesaid day and depending on the amount wagered, players will be eligible for more or less money. If you invest €500 or more you will receive 1% of your investment, while if you play for an amount exceeding €1400 will be eligible for €20. It goes without saying that only highrollers will find the latter promotion accessible, but regardless of what campaign they prefer, players should opt in before starting their adventure. The same goes for Windfall Wednesday which runs for a full 24 hours and is mostly about free spins, which are awarded to those who play at least 50 games. Players are supposed to wait for the next day to have the free spins credited to their account but they can use them right away on their game of choice. Last but definitely not least, Take Home Thursday is going to make players ease into the weekend atmosphere, while helping them forget about any losses suffered midweek. What makes this campaign special is that it will reimburse 10% of all the money lost, so those who go through a downswing will not lose everything they own. This is just the tip of the iceberg, because more promotions are expected to be announced on the Paddy Power casino website for August and beyond.